Datapath.io is a network automation platform which seamlessly integrates with current AWS setups. The IaaS solution helps increases application and website speed, reduce internet costs, and optimize bandwidth. Users are provided with complete control over networks, and are able to reroute traffic based on latency, cost and bandwidth. Datapath.io enables users to monitor network performance to see how worldwide latency can be improved. The network latency map provides real-­time visibility into performance for individual Internet prefixes (IPs). Anycast places all hosting infrastructure behind a single Anycast IP to globally load balance internet traffic, and maximize availability and uptime. There are currently no reviews of Datapath.io. IRC & Anycast depends on regions and bandwidth. NP2: $99/month, $999/year. How does Datapath.io compare with other IT Security apps? 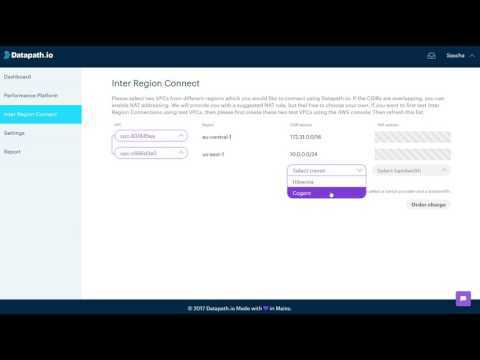 NP², Anycast and Inter Region Connect. Network monitoring dashboard, which monitors all 600,000 plus Internet nodes. Direct Connect with AWS for seamless integration. Below are some frequently asked questions for Datapath.io. Q. What type of pricing plans does Datapath.io offer? Q. Who are the typical users of Datapath.io? Q. What languages does Datapath.io support? Q. Does Datapath.io support mobile devices? Q. Does Datapath.io offer an API? No, Datapath.io does not have an API available. Q. What other apps does Datapath.io integrate with? Q. What level of support does Datapath.io offer?